Once you sign up your Team Leader will send you an invite into your team’s private group. Please note that the tricky part is STEP 5, pulling the verification key out of your verification email url. STEP 2: If you’re already a registered user enter your username or email and password to access the site. 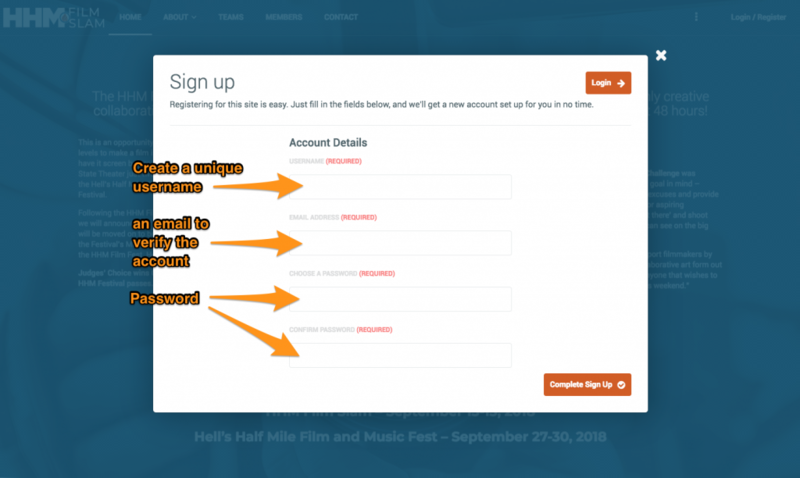 STEP 3: If you are a new registration create a unique username and add your email and password. Your password must be 12 characters. 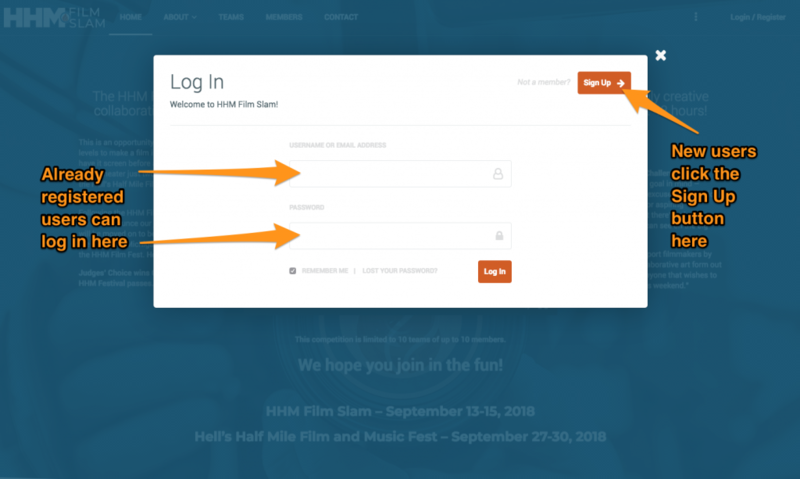 STEP 4: The successful signup screen should appear after your submission is sent. Go check your email for your link. STEP 5: Email and Verification Key should be in your inbox and look like the following screen. Your verification key is the string of letters and numbers following the / after the word activate. If you copy this key minus the / marks this is your verification code. Click the link in the email and place the verification key. STEP 6: Placing your Verification Key and click activate. STEP 7: Successful activation page When you see this screen you can log in. HHM Film Slam - © Copyright 2018 - All Right reserved.